Frantz Fanon was born in 1925 in the French colony of Martinique. As a person of color in a colonial empire, he experienced first hand the effects of colonialism and its inherent racism and classism. Like many others of African descent in French colonies, Fanon served in the French army during World War II. He was fortunate enough to attend university in France, earning degrees in psychiatry and medicine. He worked in the psychiatry department of a hospital in Algeria, a French colony that was experiencing increasing violent resistance to French colonial rule. His experiences led him to vividly understand the negative effects of colonialism on people of color, not just physically and economically, but psychologically and existentially. Fanon realized that colonialism was a social and political hegemony that separated European culture from indigenous cultures. Colonialism denoted European culture as civilization and Europeans (and United States whites) saw themselves as bringing civilization to the rest of the uncivilized world. Colonial ideology serves two purposes. It hides the economic exploitation and political oppression of colonialism under the guise of benevolence and instills in indigenous people the idea that they are inferiors who are separate from civilization. 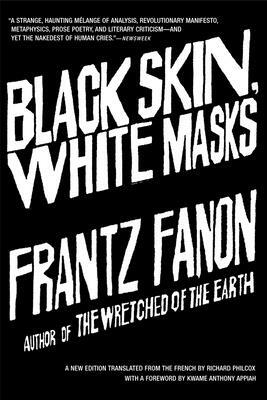 One of Frantz Fanon’s chief concerns was how colonialism’s division of humanity into superior whites and inferior non-whites affected the consciousness of non-whites. Colonialism strips lands of its resources and it strips the lands’ indigenous people of their human dignity, identity, and connection to their land and heritage. Fanon shows us that the European colonizers invented identity politics. Indigenous peoples had their identities forced on them by dominant groups. Those identities marginalized people of color as uncivilized. The marginalized did not create identity politics, but, Fanon says, politics is an effective method of revolt for people of color. It is not enough for people of color to have freedom–they must rediscover their identities. Frantz Fanon answers the dehumanization of colonialism by emphasizing the humanity of indigenous people. He answered how Europeans saw indigenous people as “the masses” by emphasizing that people are individuals and demanded that everyone treat each individual as possessing dignity. He urged indigenous people to reclaim their identities separate from colonialism as he attempted to find his. Read the above quote with these thoughts in mind.